Aerial application solutions in New York can optimize your agricultural output. When it’s time to take your agricultural outlook entirely to the next level, it’s time to look to the skies. FairLifts arranges for qualified helicopter providers to instantly transform even the toughest agricultural challenges into opportunities, satisfying your aerial application needs in a fraction of the traditional time. Whether you’re looking for assistive weed removal or personalized speed spray services, you can accomplish it all by helicopter. Professional helicopter pilots regularly take aerial application solutions to the skies and back, allowing you to keep your attention on the corporate details that matter to you. Discover the newest in reliable agricultural innovation in New York. With viable aerial application services, New York deservingly plays host to its fair share of world-class agricultural output. Consider this your invitation to add aerial application services to your New York agricultural enterprise. New York exists as the home to so many staple American crops, including cabbage, cucumbers, peas, sweet corn, tomatoes, and onions. One of the largest fruits and vegetable providers on the entire east coast, New York all but requires a more efficient means of agricultural accomplishment. Take advantage of a wide variety of aerial application solutions that can upgrade your agricultural output. Affordable and innovative services allow you to keep your focus on the agricultural priorities that matter, each and every day. Helicopter providers offer the unique combination of affordability and security, on a daily basis. Optimize your agricultural facilities with crop dusting via a reliable aerial application service for less. 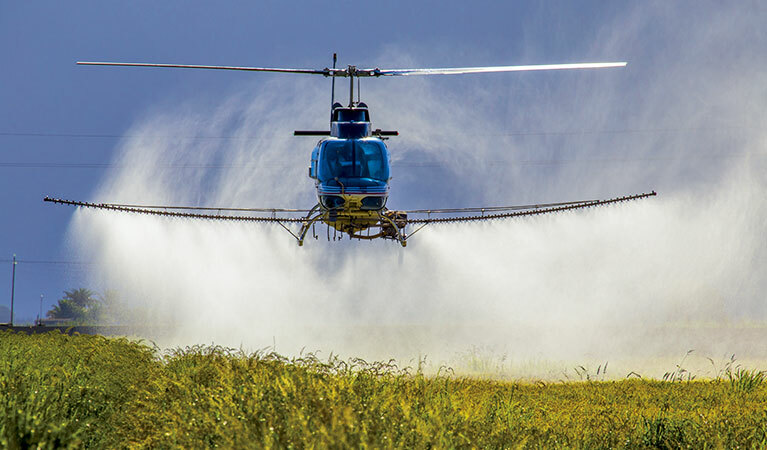 Helicopters routinely perform crop dusting services in New York, everything from fungicide and fertilizer applications, to watering and seed spray distribution. 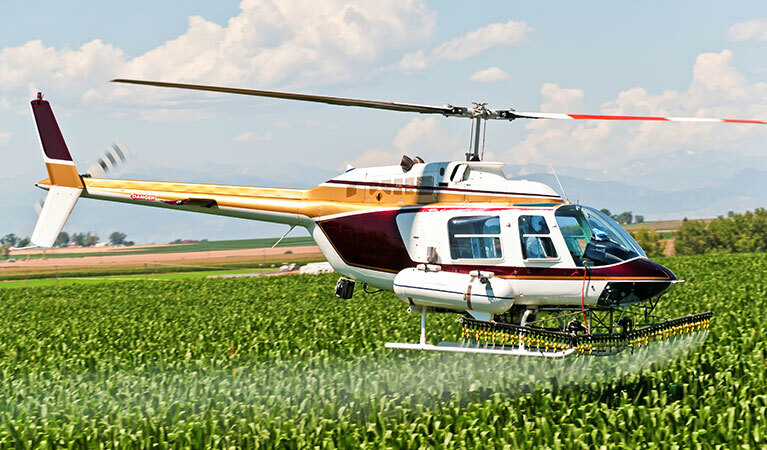 No matter the extent of your crops dusting needs, or the amount of time a helicopter is provided to accomplish the job, rest assured that professional pilots can cover more of your crops. Provide a wider percentage of your crops with the necessary applicants. Protect your crops from mosquito and pest infestations when you apply chemical applicants that easily neutralize the efforts of even the worst pests. Don’t allow insects to compromise the extent of your prospective harvest and outfit your fields with the necessary protection today, all completed by qualified, dependable helicopter pilots. 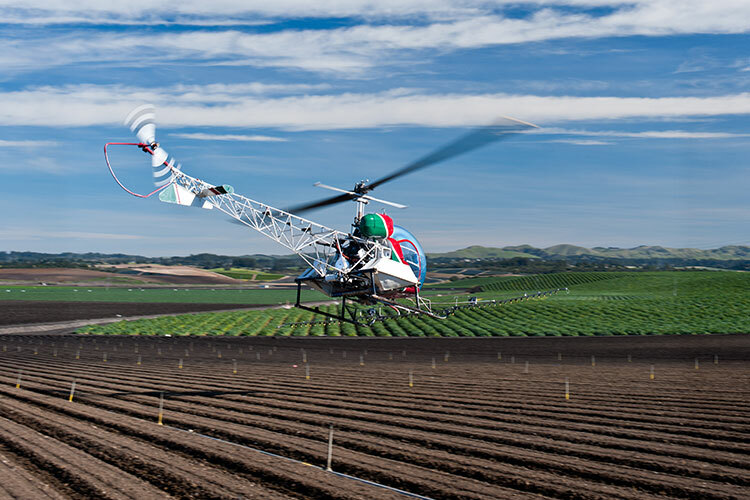 When the distance between your crops and an eventual, successful harvest is the prevention of mosquitoes and assorted pests, a helicopter can help you eradicate their presence among your crops. Pests aren’t the only inhibitions that stand between you and successful crop output. Brush and weeds can grow naturally and often undisturbed beside your crops, stealing valuable nutrients along the way. Destroy brush and weeds with effective aerial applicants by helicopter to pave the way for consistently successful harvests. Deceptively present and active among your fields, both brush and weeds can effectively compromise the success of your eventual harvest; eliminate that risk with dependable helicopter solutions, each and every time. Don’t allow inclement weather to affect your crops in the slightest. Instead, provide your fields with the holistic protection standards they need to combat the cold, with frost prevention and treatment services exclusively through a qualified helicopter provider. Your crops can beat the elements with frost prevention and treatment techniques. When the weather is at its absolute worst, you can rest assured that frost prevention, administered by helicopter, can defend your crops from anything the climate will throw their way. Put Helicopter-Enhanced Aerial Application Services to Work. Reach out today and ask one of our customer service agents about aerial application services by helicopter! Our customer service representatives answer any of your questions and help you craft a personalized helicopter package, for less. You can also fill out an online contact form, for an expedient, 24-hour response.